New Book Update!!! 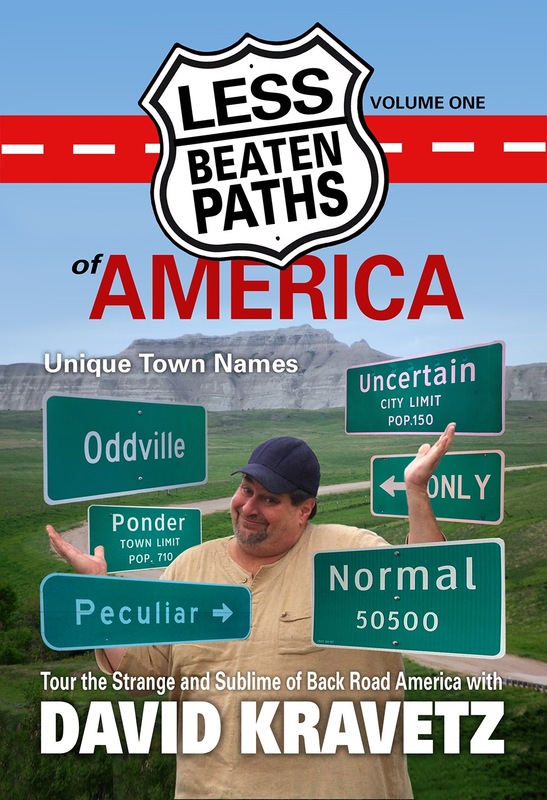 For those of you interested in my forthcoming book “Less Beaten Paths of America: Unique Town Names,” here are some updates! The chapters are all done – 22 of them. 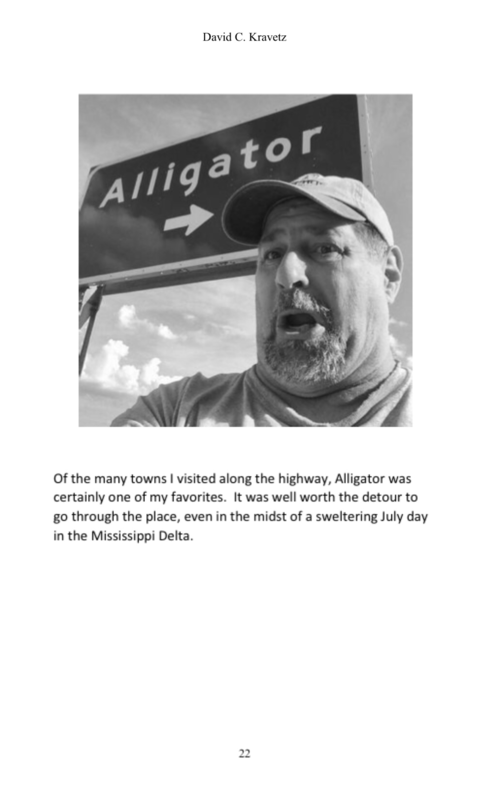 I am making some final edits, doing the acknowledgements, and a few other things. It has more than 100 pages and covers more than 35 unique places. 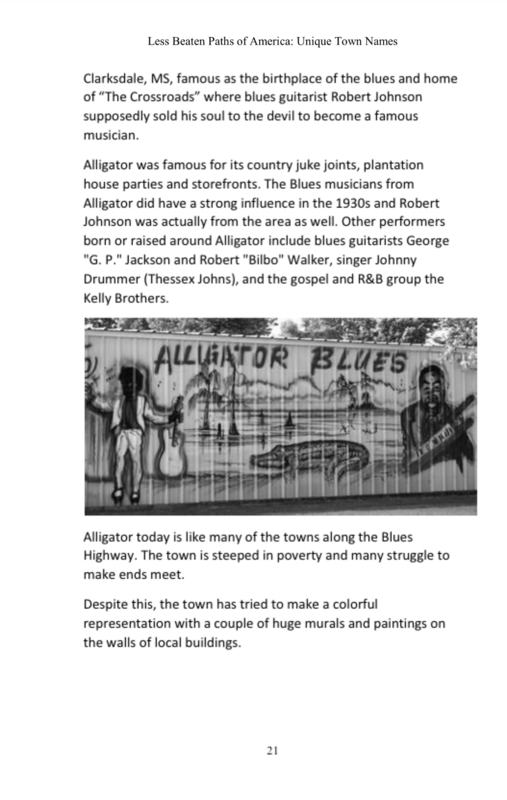 I am attaching a sample Chapter on Alligator, MS so you can see the format. Please make sure to send me an email at lessbeatenpaths@gmail.com to get on the mailing list for more updates. 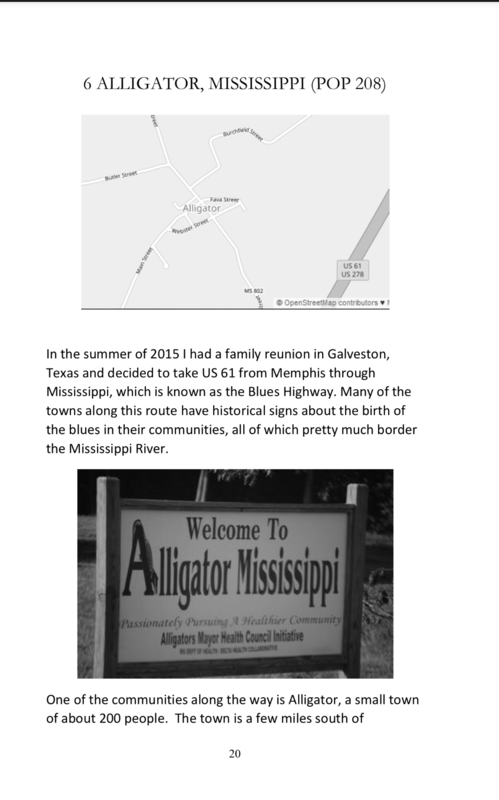 The last couple of weeks I have focused on town name signs. On my last post I left off at Earth, Texas. But there are a few more planets out there…real and fictional. Perhaps Mars, Pennsylvania is the most famous of our planet named towns in the US. No one is sure how the name “Mars” came into being. Some say it was Samuel Park’s wife, who enjoyed astronomy, and others aver that it might be shortened from Samuel Marshall’s name. In any case, on March 6, 1895, Mars was incorporated as a borough. Residents of Mars are often called “Martians”, or “Planets” because of the high school team name, The Fighting Planets. There are a number of other places in the U.S. named after planets. SenseList.com has a nice list of the many town names and place names. 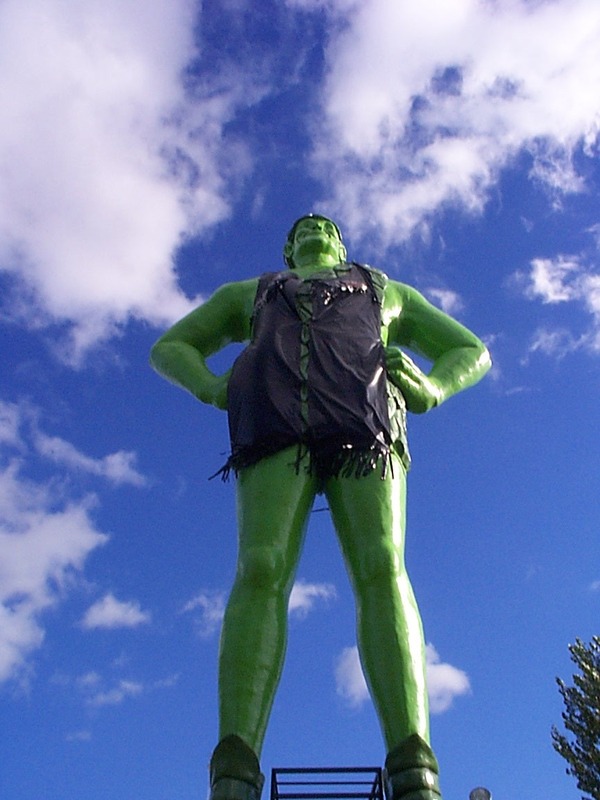 Of all of those on that list, perhaps the most well known would include Jupiter, FL, and Blue Earth, MN, which is home to the Jolly Green Giant statue. But, there are other “planets” as well. How about Romulus in Detroit (I have yet to get a photo of the town sign near the airport!!). Then, try out Vulcan, Alberta. I really get a kick out of this town. They have a Starship Enterprise statue, murals on the walls with Star Trek stars, etc. Welcome to Vulcan (in Vulcan) — They also have one in Klingon!! There was actually not a Climax sign for the town, nor is there one for Climax, Kentucky. 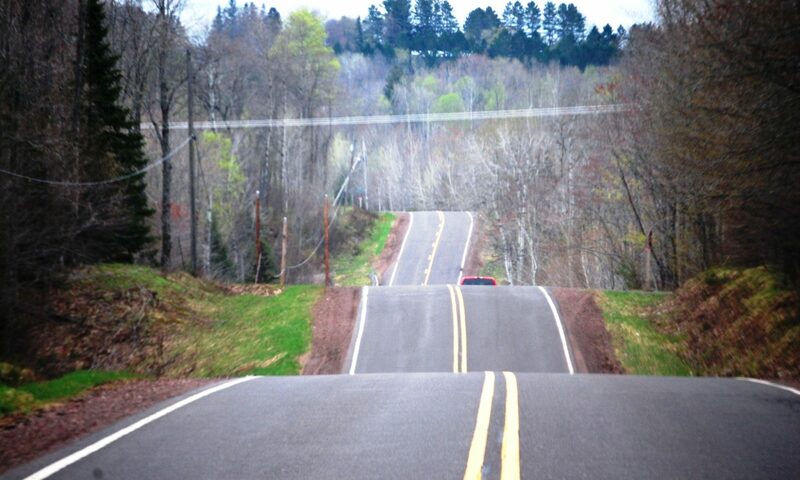 But, if you are on Interstate 73 in North Carolina, you will see an Exit sign for Climax and High Point.